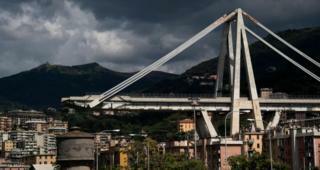 Italian prosecutors are investigating 20 people on suspicion of involuntary manslaughter in connection with the motorway bridge collapse in Genoa last month. They include managers at Autostrade, the company which managed the bridge. Forty-three people were killed in the disaster, when a 220m (656ft) section of the Morandi Bridge suddenly plunged 45m, along with dozens of vehicles. 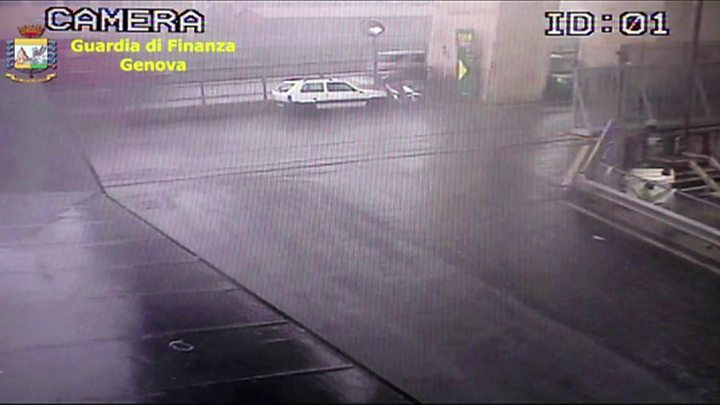 It prompted a fierce debate about the safety of Italy's infrastructure. Autostrade per l'Italia, which manages almost half the country's motorways, has not commented. Magistrates in Genoa said those under investigation could face charges of failing to comply with safety regulations, as well as manslaughter. An unnamed judicial source told Reuters news agency that senior officials at Italy's infrastructure ministry were under scrutiny. There had been previous reports and comments questioning how the Morandi bridge on the A10 motorway was built, and how long it could last. Autostrade maintains that it checked the bridge every three months using highly specialised techniques. The government said in August that it was considering nationalising the motorways - but Prime Minister Giuseppe Conte told journalists on Thursday that this was "not the only answer".